How to Renovate your Kitchen to Add Value to your Property? 2016 is the year where many expats in Dubai might consider buying a property and establishing roots in the Emirates. At Goettling Interiors, we’re passionate about creating value for Dubai homeowners and empowering them with old fashioned German efficiency and a product that looks great with superior functionality. Did you know that when done well, Kitchen Renovations can increase a property’s value significantly? This is especially crucial if you are considering buying a property in the Springs, Arabian Ranches, Green Community or the Marina. 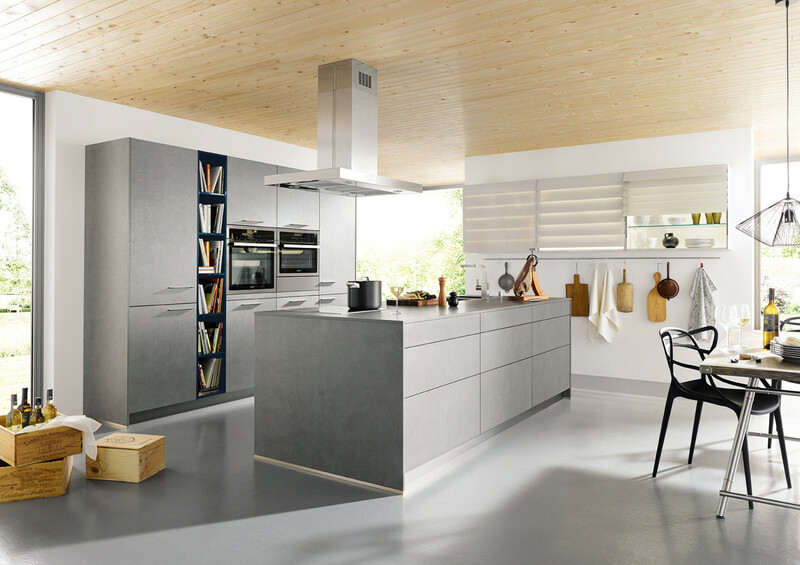 The kitchen has become the heart of the modern home. We don’t just cook in it – it’s a place to gather, do homework, eat meals and entertain. A well-designed kitchen can really add value to your home. As a general rule you shouldn’t spend more than 7 to 10% of your property’s total value on a kitchen renovation. And when it comes to scale and cost, the kitchen should reflect the rest of the home. These days open floor plans – where the kitchen opens into a living or dining room – are in high demand. Open plan spaces improve the flow of a home and allow more natural light in. With the kitchen increasingly becoming a central hub in the home, removing walls can create a larger workspace plus more functional living and entertaining areas. For long-term value – simple design, clean lines and light natural colors are the way to go in a kitchen. Avoid flamboyant features and color palettes which can date a kitchen and have detrimental effects when trying to sell a home. Light colors will make the room look more spacious and open – many people like white kitchens for this reason. White kitchens are also timeless, which is important if you are trying to add value to the home. The worktop is one of the first things you notice when you walk into a kitchen. Choose a quality Quartz finish instead of Marble or Granite for this high traffic surface to ensure longevity and create a wow factor. Old appliances date a kitchen and turn people off so spending a bit more for new ones can be worthwhile. Select quality brands, always find space for a dishwasher and consider energy-efficient appliances in modern finishes and integrated with kitchen cabinetry for that seamless look. Plentiful, practical storage is a must in any kitchen. Most Dubai property developers neglect this all important aspect of life and homeowners need to enable tiny spaces with clever storage tips. It gives you the ability to clear clutter from benches, freeing up valuable space for cooking and entertaining. Plenty of pantry space, ample refrigeration and concealed garbage disposal units are other great ways to keep your kitchen neat and tidy – a must when trying to sell a home. For more Kitchen, Bathrooms & Wardrobe planning tips and tricks, call us at 800-GERMAN or www.goettling.me for a free design consult.